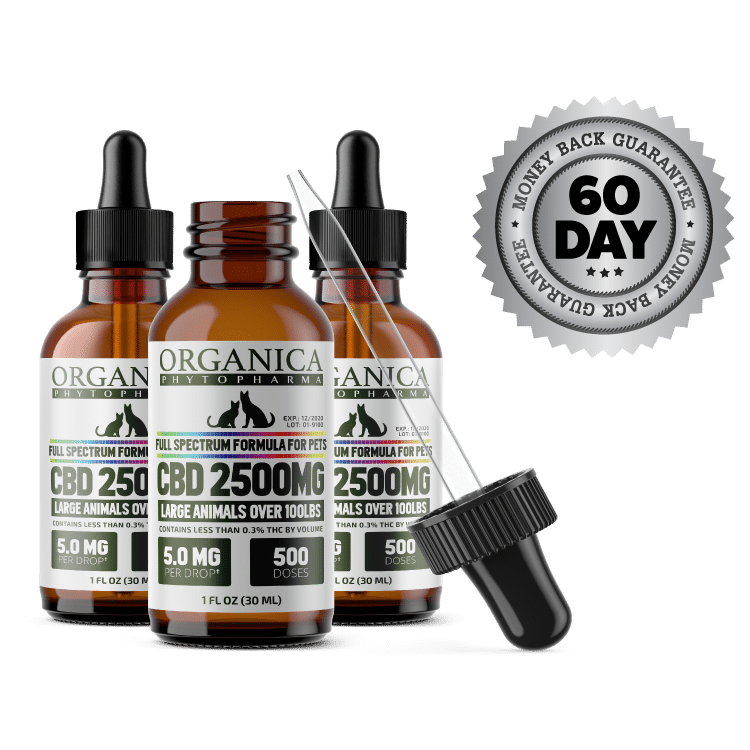 Support overall health and well being with this full spectrum CBD oil created specifically for large sized animals like dogs and horses weighing over 100 lbs. Our pet-friendly CBD activates your pet’s endocannabinoid system and helps to support balanced digestion and reduce stress, as well as provide relief from pain, inflammation, anxiety, and other common pet related health and wellness concerns. A coconut oil-based CBD carrier allows for easy digestion and the highest bioavailability of Cannabinoids. 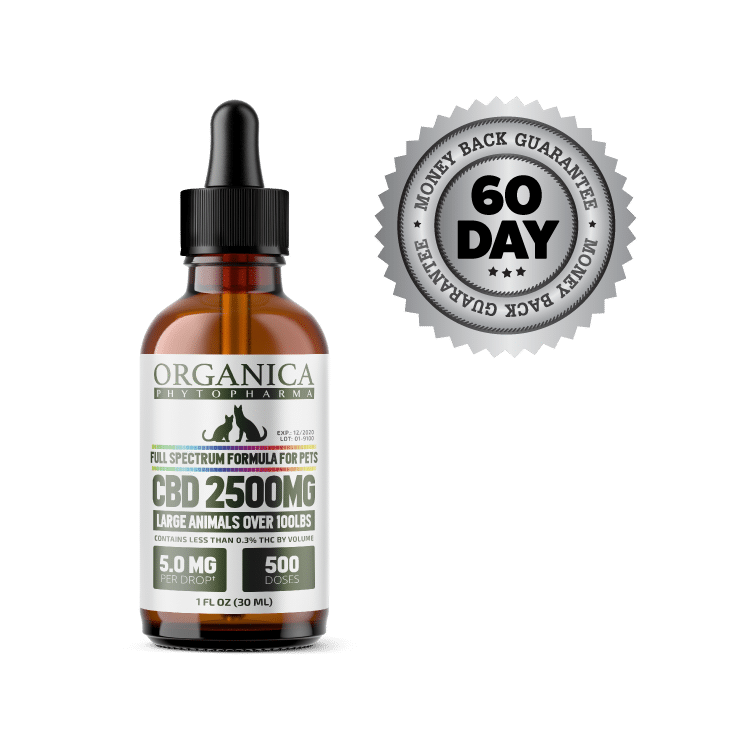 Containing over 500 doses at approximately 5.0 milligrams per drop, this 2500mg formula provides a medicinal dose of CBD and lasts about one (1) month when taking one dropper (1 milliliter / 17 drops) daily. 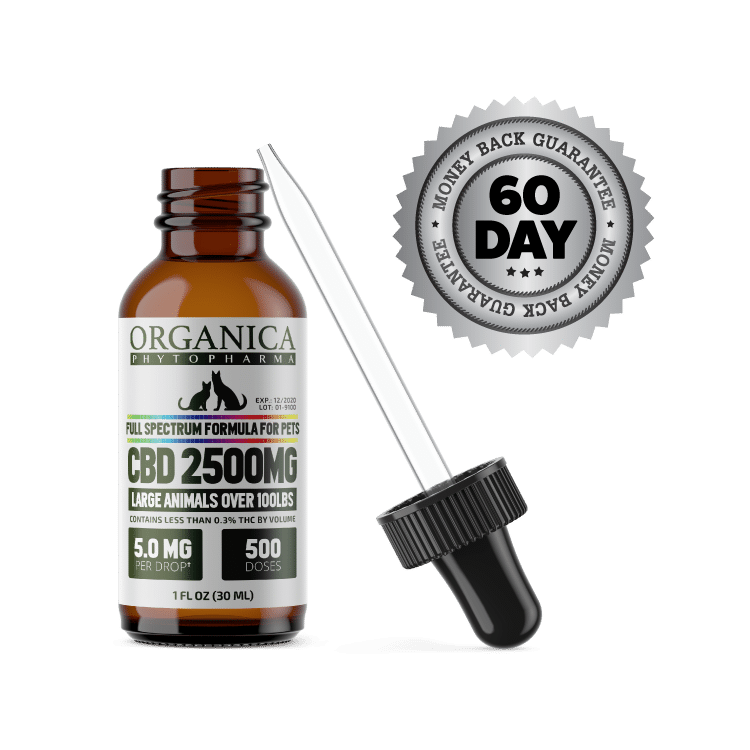 Directions: Drop a milliliter of CBD onto your pet’s food. Can also be applied directly to skin blemishes, scratches, cuts or inflamed areas. This item contains less than 0.3% THC by volume. Save 20% when you choose our Wellness Plan and receive monthly shipments of CBD! Buy a one-time shipment of a single bottle. Buy three and save $60 (for a limited time only).